Pho in Melbourne, giving Vietnam a run for its money. 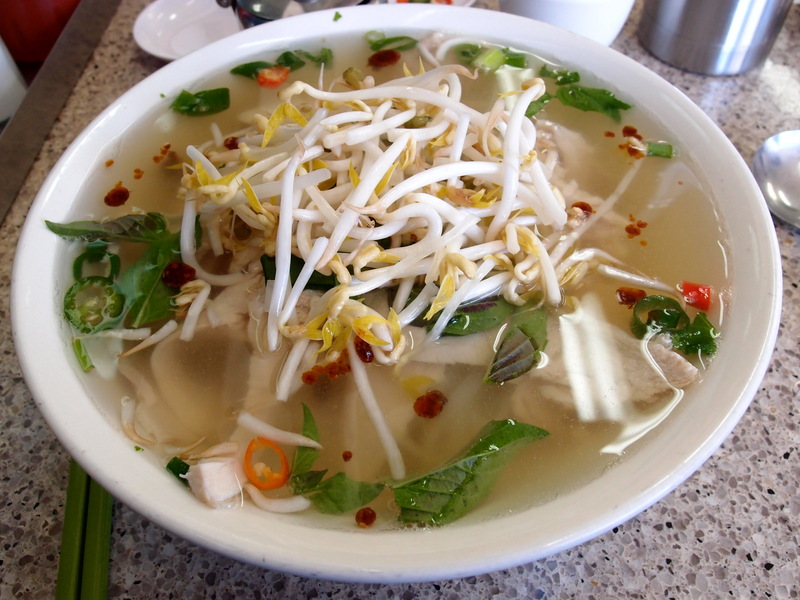 Vietnamese noodle soup or Pho (pronounced ferr – Pho is a prostitute) is a serious winter comforter. There is nothing better, other than perhaps my own Mum’s soup that warms me up on a cold winters afternoon. But never fear, this gem is far from seasonal – nor is it restricted to a special occasion. 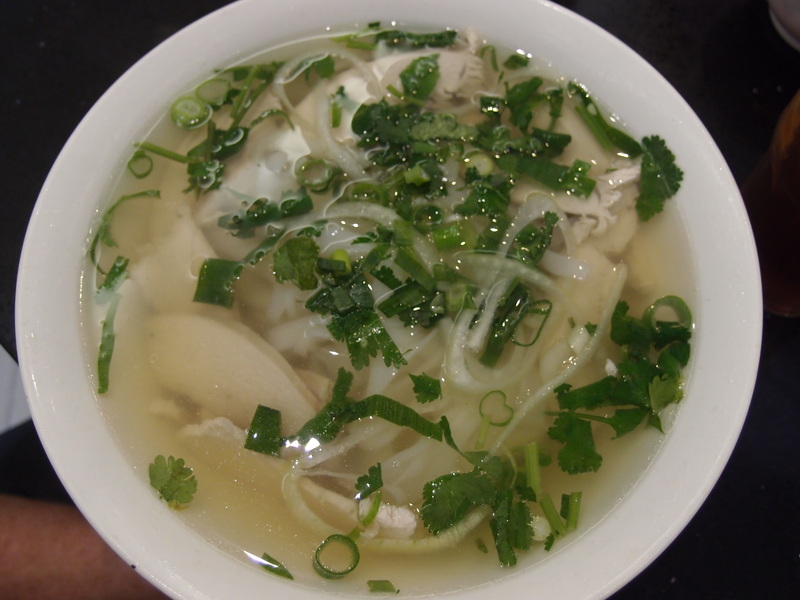 Pho can be enjoyed breakfast, lunch and dinner all year round and the best part is, it is practically free. Here in Melbourne, we are rather lucky to have some of the best Pho in the world, made with both traditional and modern interpretations from Vietnamese immigrants that arrived in Australia during the 1960s and 70s. 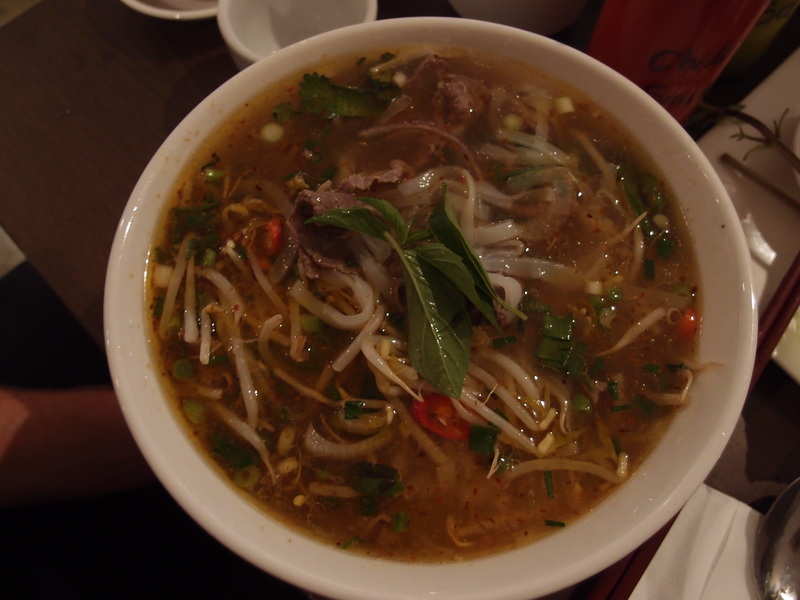 There are two main variations of Pho; Northern or Southern which is largely comprised of either Beef or Chicken and the different cuts of these two meats. If you are a vegetarian, don’t bother; all Pho will (mostly) be made with animal stock). If you’re a bit of a dare devil or a fan of condiments all Pho restaurants guarantee you a table of surprises to add to your soup; chilli, Vietnamese mint, bean shoots, lemon, soy sauce and hoi sin. You name it – you can add it! Personally I am a fan of the more traditional Northern Pho but every family restaurant has their own spin of secret ingredients that add to the variation in flavours made with these traditional, local ingredients. Tucked away down the residential end of Leeds Street in Footscray is Pho Tam. From the outside, it appears much the same as every other Vietnamese restaurant in Melbourne however Pho Tam is the cleanest pho restaurant I have seen, yet maintains the daggy 1970’s kitchen feel often present in Asian restaurants. With an extensive menu and an even more specialised selection of Pho choices, the prices in Footscray are slightly cheaper (if that is even possible). Tam has a substantial vegetarian selection too, which even has its own page at the very back of the menu. Like most Pho places, Pho Tam is BYO and closes at 9pm. Accompanied by a shockingly addictive 90s music soundtrack, the staff are friendly and helpful and do not linger over customers. The soup itself is unique and different than most in Melbourne. Usually, the broth is cooked overnight and simmered for long periods of time generally creating more flavour yet at Pho Tam, the broth is clear and fresh which does cause a slight lack of flavour but provides a much cleaner and lighter consistency, which upon reflection actually proves advantageous to the texture of the noodles. Overall a friendly and cheerful place to stop which most certainly stands out from the many Pho restaurants that make up the Vietnamese district in Footscray. Just down the road from I Love Pho (don’t start me – too many hipsters and a sell out owner) is Little Saigon. Breaking from Vietnamese tradition, your bowl of Pho will be elegantly placed down in front of you with finesse unlike any other Pho restaurant. The soup is oilier than some other southern blends but the chicken is hard to skip and if you are a fan of onion, this soup is for you. Special comments to the owner, she is quite possibly the friendliest person on Victoria Street and remembers every face she meets greeting return visitors with a hug. Staff often offer their services in teaching you how to eat your soup if you appear to be struggling, even scrooping the noodle from the bottom of the bowl out for you (True fact – creepy, I think NOT!). The music is also a true highlight and ranges from bad 90s pop to heavy classic rock depending on the time of day and all staff will happily sing along with you. Recently renovated with a very liberal BYO agreement, Little Saigon is a great place to catch up with friends over a cheap dinner and drinks. Springvale is a home away from home for the Vietnamese living in Australia. The streets are lined with Viet marketplaces, local businesses and buskers; even down to the street signs, Springvale is Vietnamese. In the middle of it all is Pho Hung Vuong, a Mecca for noodle soup with lines stretching down the street and around the corner while patrons burst out the front door to get their soup. With no English on the menu and a quicker than lightening efficiency of service, the Pho at Hung Vuong is literally fast food without cutting any corners. The noodles are ample and perfectly cooked which are complemented by never-ending slices of meat. The broth is fresh yet the pungent scent and spoonfuls of dense flavour demonstrates the time and dedication put into this old recipe. There are fewer condiments than other restaurants yet it is hardly noticeable with the eruption of flavour from the soup itself. The staff are friendly and have remarkable memories and the overall atmosphere of the restaurant aids they enjoyable experience. 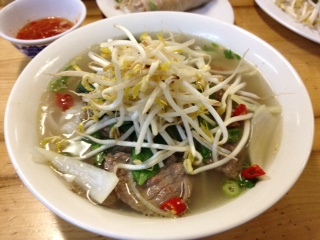 For traditional Northern Pho and an overall traditional Vietnamese experience you cannot go past Dzung Tan Dinh. Don’t let the sticky tables and mirrored walls fool you, this place has serious pho. You will be greeted from the other end of the restaurant and you must throw up your hands indicating how many people you are dining with. The menu is on the wall and you have three options; Pho, Vermicelli or spring rolls – take you pick. Decide quickly and don’t get distracted by the Chinese version of Eurovision playing on all TV monitors, as patience runs thin in this place. Within five minutes you will be sinking your teeth into hot, flavoursome noodle soup, which has been brewing overnight. Check out the drinks menu too for a bit of a laugh and I highly recommend ordering the egg drink, 50 cents and well worth the experience. They also have restaurants under the same name in Russell Street in the CBD, in Springvale and in Footscray.